I was only eight years old and not an Elvis fan in 1957, so I first saw Jailhouse Rock sometime during the mid-1960s when it was re-released in theaters. It was a strange experience for me. I had become an Elvis fan a few years earlier and had become very familiar with Elvis’s soundtrack recordings from the movie. Often I tried to imagine what Jailhouse Rock would be like and how the music would fit into it. Of course, the movie was quite different than my teenage imagination pictured it. Still, on first viewing, I found the film amazing, especially compared to the type of movies Elvis was doing in the mid-sixties. Jailhouse Rock is still one of my favorite Elvis movies. 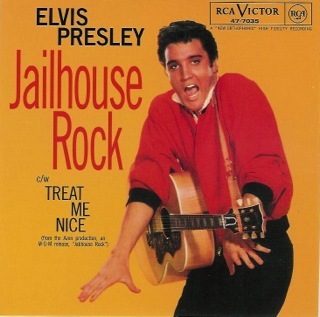 Jailhouse Rock today is considered a classic early rock ’n’ roll film. It’s interesting, though, to go back to the fall of 1957 and see how some of the nation’s top film critics reviewed Elvis’s third movie when it first opened. 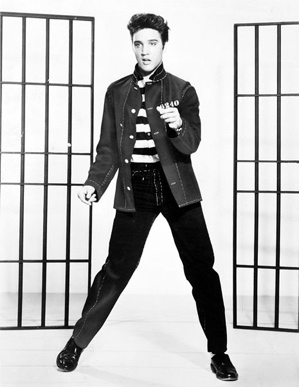 In 1957 most reviewers recognized Jailhouse Rock as a step up in Presley’s Hollywood career. Unlike his two previous movies, this one was built entirely around Elvis. He makes his first appearance just 15 seconds after the opening credits and is front and center in nearly every scene throughout the movie. Judy Tyler, the female lead, isn’t seen until 26 minutes in, and the other main actor, Mickey Shaughnesay as Hunk Houghton, is off camera for a half hour in the middle of the film. 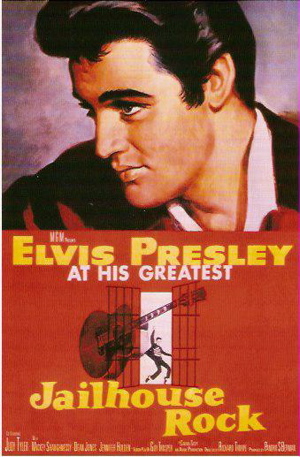 For the first time, the success of a major motion picture was placed squarely on the shoulders of Elvis Presley. That being the case, reviewers zeroed in on Presley’s work in the film. The New York Times was unkind in its November 14, 1957, review . It started out by taking a shot at the star’s diction. “Uh got wars [wires] ’n’ letters from all over the wurl,” the Times quoted one of Elvis’s lines from the film. The reviewer then went on to criticize Elvis’s weak characterization as follows. 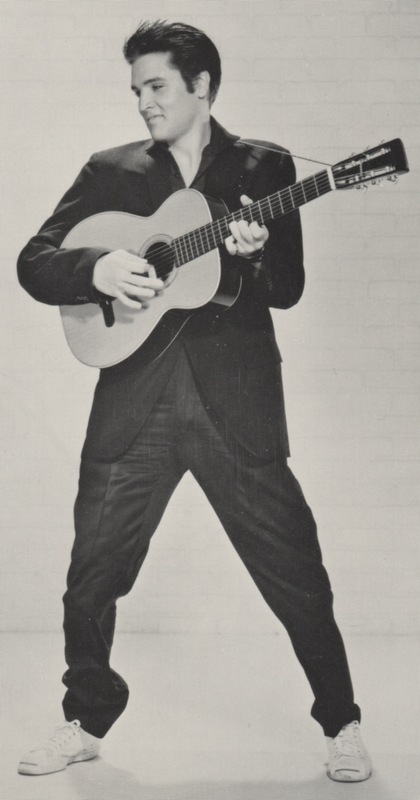 Elvis even had to act while singing in Jailhouse Rock. 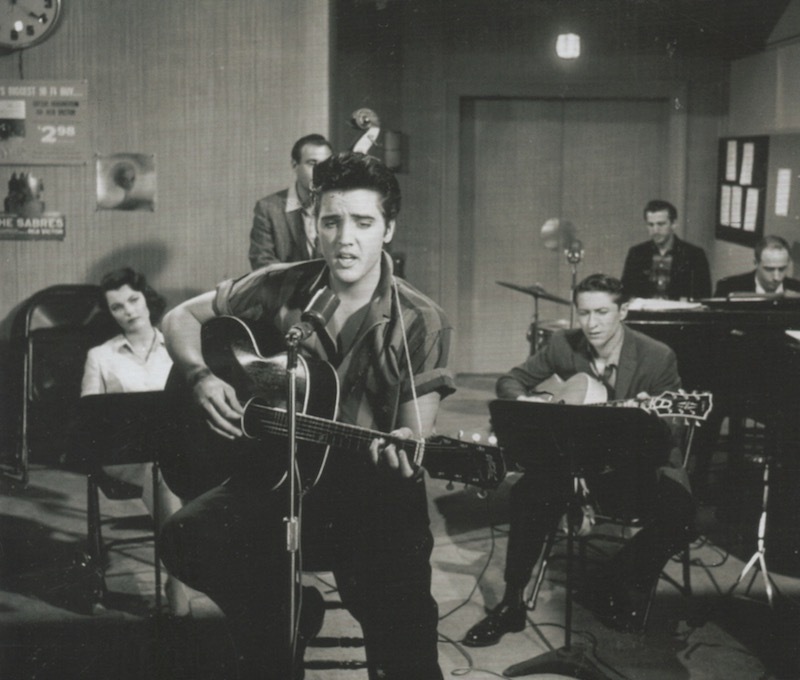 Since his character of Vince Everett starts out as a novice singer, Elvis had to deliver his initial songs in deadpan voice. It isn’t until the film is over half over that the first real Elvis performance, “Treat Me Nice,” is heard. 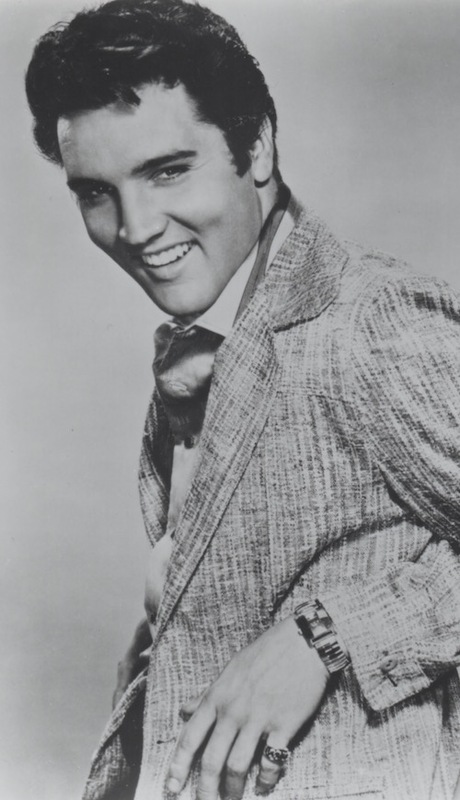 The New York Times credited the film’s musical soundtrack, although the reviewer couldn’t resist making fun of Elvis’s signature body language. By late in 1957, many parents and critics were losing patience with of rock ’n’ roll. Continued reports of riots at rock ’n’ roll events across the nation had convinced many community leaders that instead of hoping the teenage music would fade away, they should take some action to make it go away. 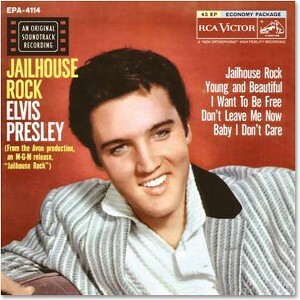 In the face of such public opinion, some reviewers questioned the wisdom of making a film like Jailhouse Rock. 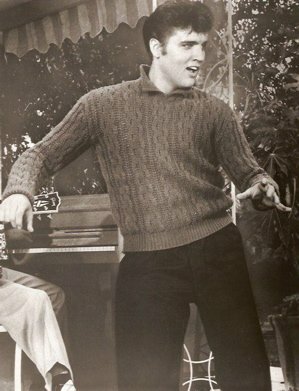 The Los Angeles Times saw Jailhouse Rock as further damaging the reputation of rock ’n’ roll in general and of Elvis Presley in particular. The following three paragraphs appeared in the paper’s November 14, 1957, review of the film. “Why a popular teen-age idol like Presley and the contemporary musical rage of rock ’n’ roll must be associated and identified with crime, greed, profanity, vulgarity and brutality is beyond imagination. “If Screenwriter Guy Trosper, Producer Pandro S. Berman and MGM want to capitalize on the tremendous popularity of Presley, more power to them; if they want to wax rich on teen-age dollars, none can object. However, it would seem to be wise to do something FOR the rock ’n’ rollers and not something TO them. The implied fear that Jailhouse Rock would lead to more teenage riots appears to have been just another overestimation of Elvis’s negative influence on young people. 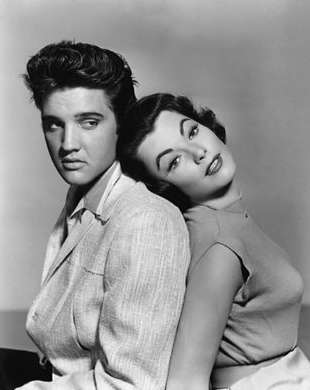 There’s no doubt the film’s main audience of adolescents warmed up to Elvis’s “bad boy” character in Jailhouse Rock. This is no evidence, however, that the film resulted in a surge of teenage hooliganism in the final months of 1957. I’ve watched Jailhouse Rock many times through the years, and what I find most appealing about it now is its humor. The idea that a heel like Vince Everett could come out of the penitentiary and within a year become the millionaire idol of the nation’s youth is too fantastic to believe, even today. In 1957 the concept must have seemed completely ridiculous. Against the background of such a bizarre premise, the humorous scenes work in Jailhouse Rock, whereas they wouldn’t have been effective in a more serious plot like that of King Creole, Elvis’s next movie. 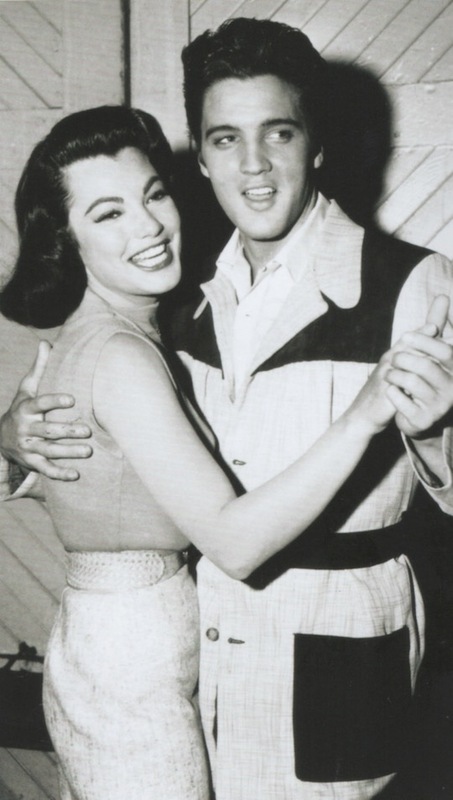 The “definitive scene in Elvis’s career”—that’s what Steve Pond, author of Elvis in Hollywood, calls Jailhouse Rock’s sidewalk scene, the one in which Vince Everett forcibly kisses Peggy Van Alden. Pond also rates Elvis’s words in that scene, “That ain’t tactics, honey. That’s just the beast in me,” as “maybe the best line in Elvis’s movie career.” Personally, I always find myself laughing as I watch that scene. Certainly the scene steals the movie, but it is so melodramatic that its appeal is more amusing than serious. Other scenes in Jailhouse Rock that make me laugh are when Elvis slaps the Geneva Records executive in his office; when Dean Jones as a DJ reads a horsemeat commercial using “Treat Me Nice” as background music; and the Hollywood movie love scene, in which Elvis and Jennifer Holden are suddenly overwhelmed with passion on the sofa.